What Can One Little Person Do to Change the World? “In the old days,” in addition to walking to school uphill both ways each day, I was taught American History/Social Studies. Back then, American history was really the study of war. The learning was narrow, predictable, the focus on battles and dates of long ago. In fact, the younger the grade, the older the war we studied. The only Black history that we studied was really about the study of slavery. It wasn’t until college and Women’s Studies that I learned about women’s contribution to history. America’s history is complex, and to teach some of our nation’s storied past can be a difficult field to navigate. But it can be done. Teachers have a duty to raise the collective conscience of our nation, starting with our littlest learners. Inspired by her lifelong interest in social studies and after a workshop on teaching civil rights to preschool and Kindergarten aged children at the Progressive Education Network’s conference in NYC last year, my teaching partner, Barbara, has brought Kindergartners at SRV, a broader narrative of our country’s history. In 1976, February was designated as Black History Month after having it for only a week since the 1920’s. Both seem like archaic notions, now. We believe that is our responsibility to teach 21st century students that black history is American history and should be taught not as a designated space on our calendar or curriculum, but as the integral part of the American story that it is. If we limit learning about black history to a month, we continue isolate an entire races American experience, continue to limit the narrative and therefore limit our children’s knowledge and learning. We must teach them a more complete picture, a fuller story, of the contributions and history made by all Americans, not just through the perspective of the white experience. Knowing what a powerful tool music is for young learners, we use the song from SRV’s songbook “What Can One Little Person Do” to launch our study of American history. The catchy tune quickly becomes Kindergartens personal anthem as we study the people in the song, the meaning behind the lyrics and then, we’re off! We’re off creating a huge timeline in the Grace building gym. 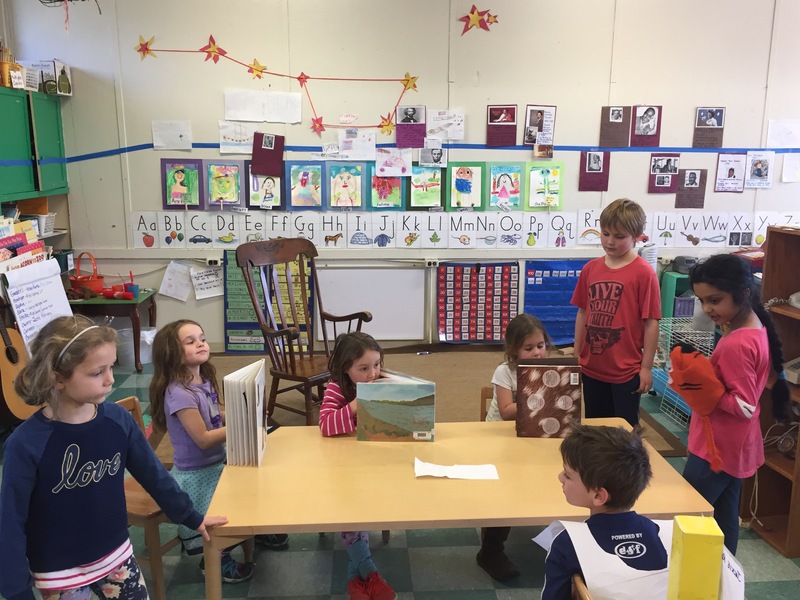 Beginning with Dinosaurs, Kindergartners travel through real space to get a truer sense of actual lengths of history over time. After extinction, we move through small mammals,to first humans in Africa, to North American natives, first European contact, first slaves, the founding of our country, and Abraham Lincoln. Our timeline then reflects, in smaller and smaller increments, lives sung about, Harriet Tubman, Sojourner Truth, Rosa Parks and MLK. Lastly we add the years of our own births. Time becomes a little less abstract to Kindergartners and they begin to develop an understanding that dinosaurs lived a reallllllly long time ago, not even close to the same time as the people we sing about. They begin to develop an appreciation too that a lot of big change has occurred in relatively little time for our country. We then transfer the timeline onto the walls of our classroom for a tangible reference, and the students make pictures and signs instead of teacher writing on tape. Set up daily, the children are then introduced to the “Contributor of the Day,” as Barb frames the importance of individual contribution to that of the greater good. Contributors range from abolitionists to artists, scientists to singers, athletes to astronauts. Enthusiasm and anticipation grows each day as we teach what made their contributions to society notable. Kindergartners take it to the next level as maps are consulted, inventions are studied, art is appreciated, books add to understanding. Before long their expanded vision begins to include the importance of the role each of us play in making the world a better place. 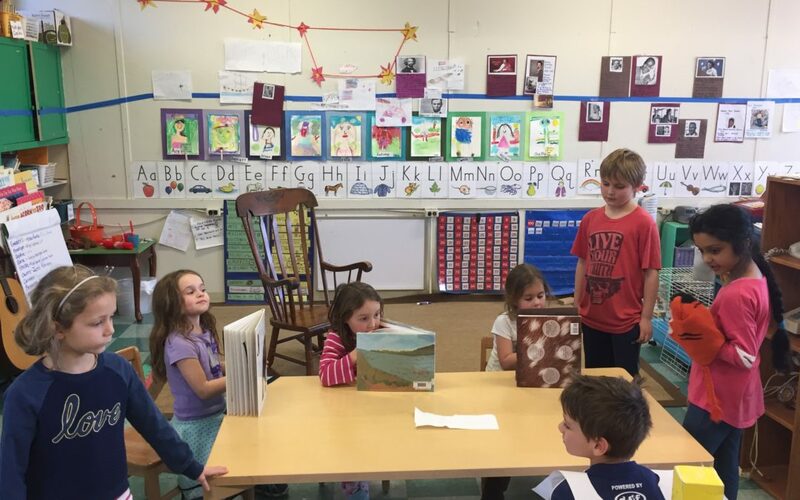 Kindergartners begin to understand that American History is the study of all Americans and their contributions that make our world a better place. Thank you for sharing this. I am so excited for Emmalynn to start Kindergarten next year.